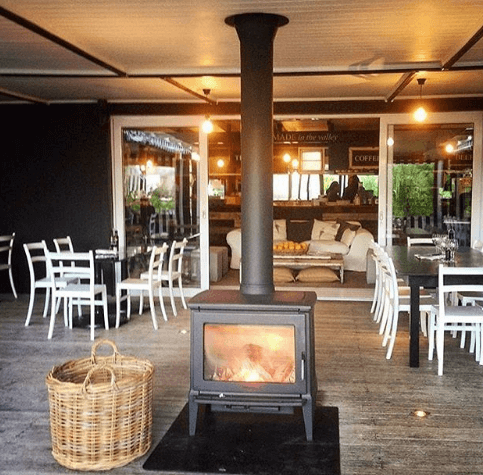 Meet wine farm number 1 – A contemporary getaway into the country just down the road from JC Le Roux on the Devon Valley Road in Stellenbosch. 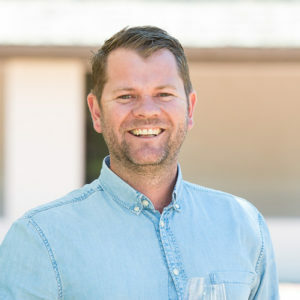 Brenaissance. 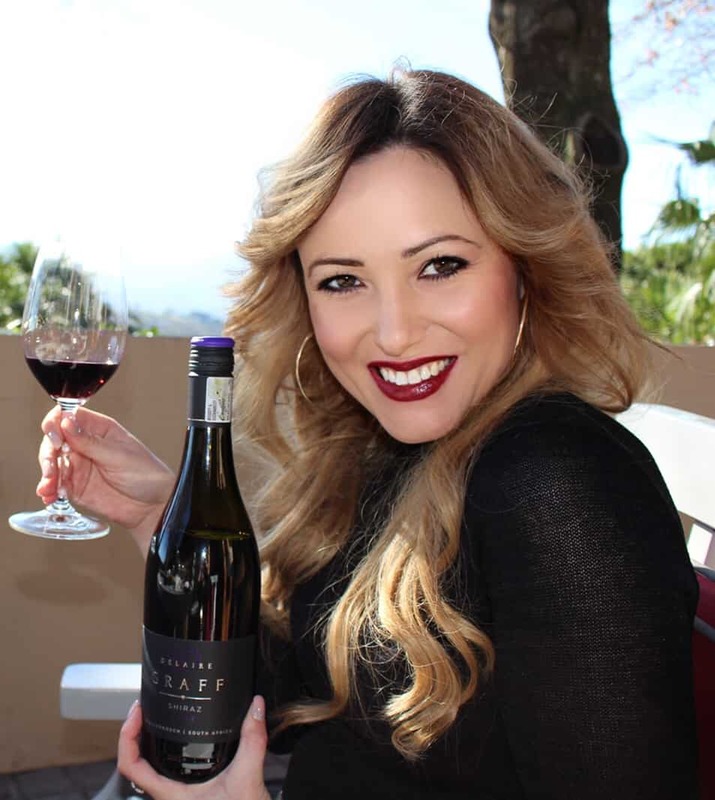 The name “Brenaissance” stems from the idea that owners Tom & Hayley (young entrepreneurs who purchased the farm in recent years) had by pairing the first letter of their surname ‘Breytenbach’ with the word ‘Renaissance’ (French for ‘new beginnings’), Brenaissance was born. 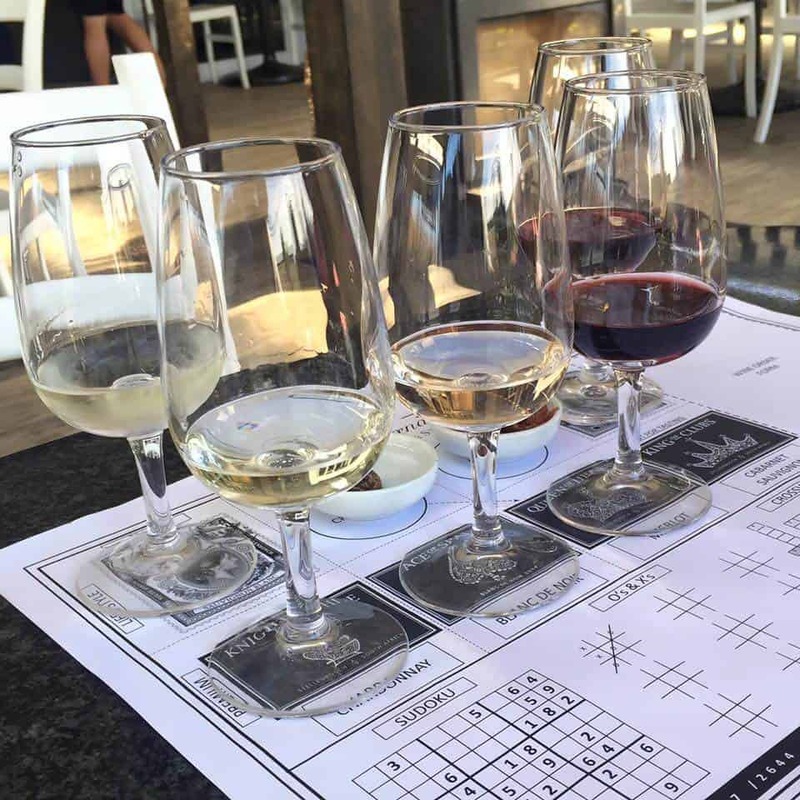 WINE TASTING: Taste 5 wines for R50 pp or do a pizza and wine pairing of 4 wines for R185pp. LENGTH OF VISIT: This visit could take up your whole afternoon. 2-3 hours. RESTAURANT: Yes. Café Blanc de Noir Menu. 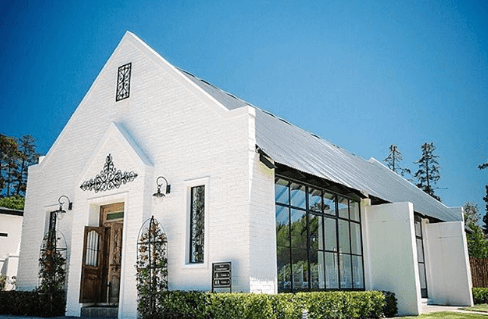 OTHER AMENITIES: They have a chapel which is perfect for weddings. ACCOMMODATION: Yes. A night can cost from R1250. 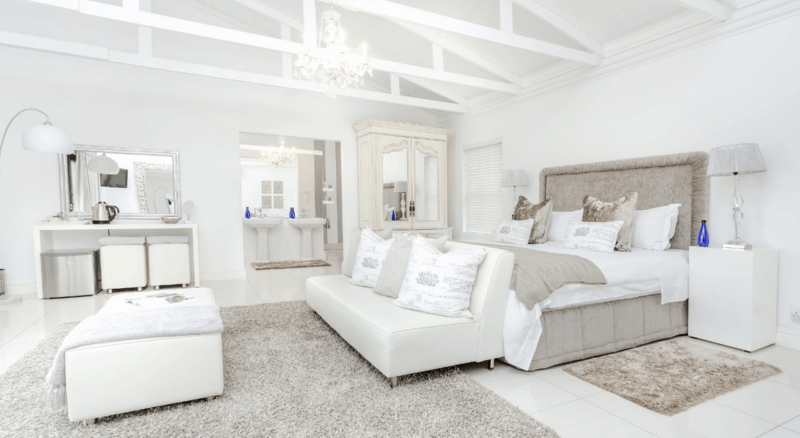 Stay at Brenaissance. CHILD/PET FRIENDLY? There is a jungle gym within eyesight. I would not recommend this farm for pets. LOCATION: About a 45 minute drive from Cape Town in Stellenbosch region, close to JC Le Roux in Devon Valley – Brenaissance Directions. 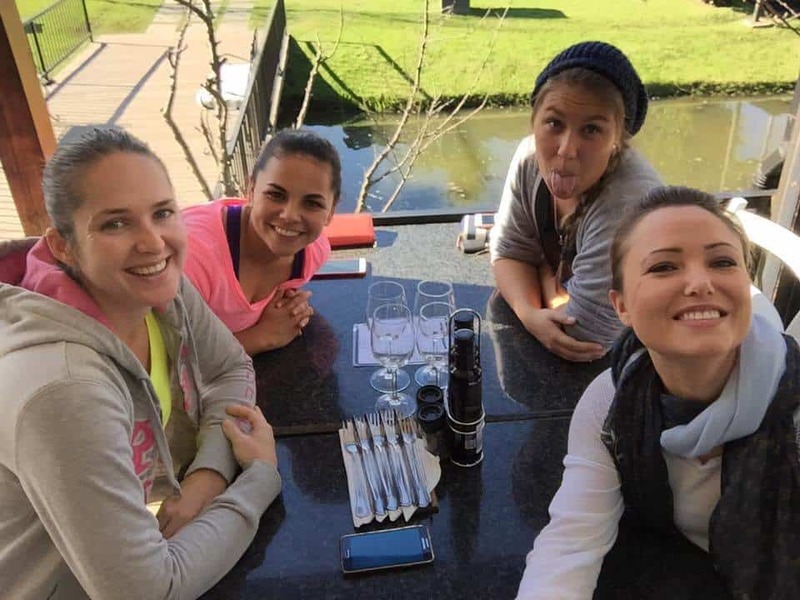 OTHER RATINGS: Learn what others have rated on Trip Advisor by reading the Brenaissance Trip Advisor Review Page. 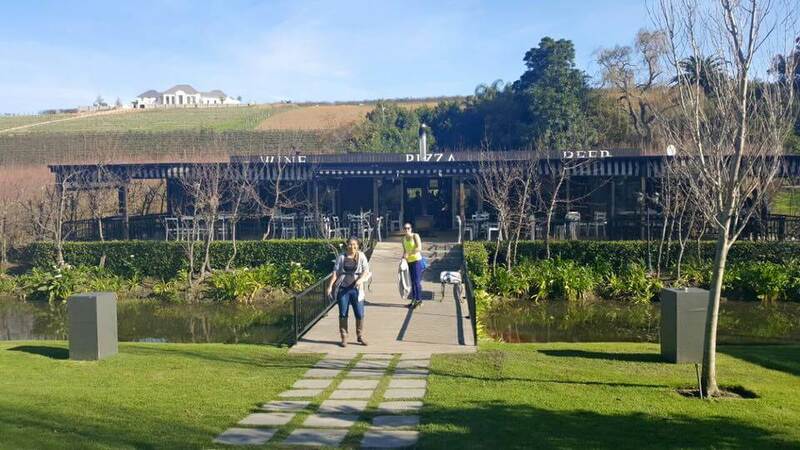 The journey to the farm along the Devon Valley road is rather long (about 10-15 minutes) and you will pass a smelly rubbish tip but once you arrive to the farm, the beautiful scenery welcomes you. There is plenty of parking and the walk to the restaurant is not far (wheelchair friendly). Although reservations are recommended, the restaurant does have plenty of tables. For larger groups there are large tables on the green grass close to the kids’ play area that has a jungle gym. 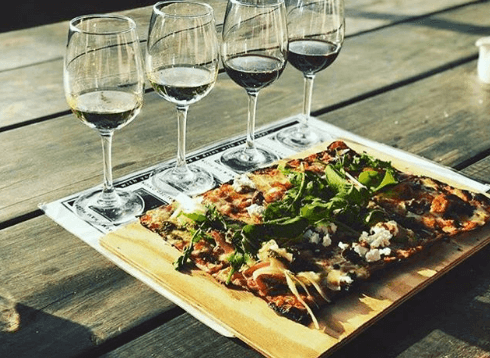 The menu is simple – good pizza and Wine! The range of wines have a contemporary concept playing on a pack of cards. King of Clubs, Queen of Hearts, Full House etc. I absolutely LOVED the Biltong and Fig pizza which paired well with the Brenaissance “Queen of Hearts” Merlot. 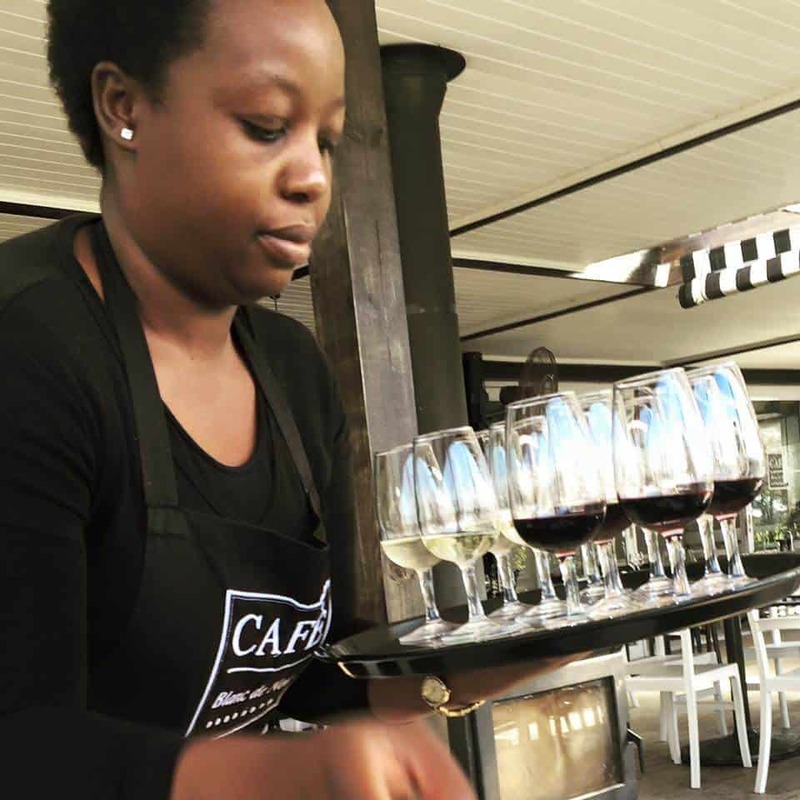 You can get 5 wine tastings for R50 which includes 2 whites, one Blanc de Noir and two reds. The reds are paired with biltong and dark chocolate which is a nice bonus. 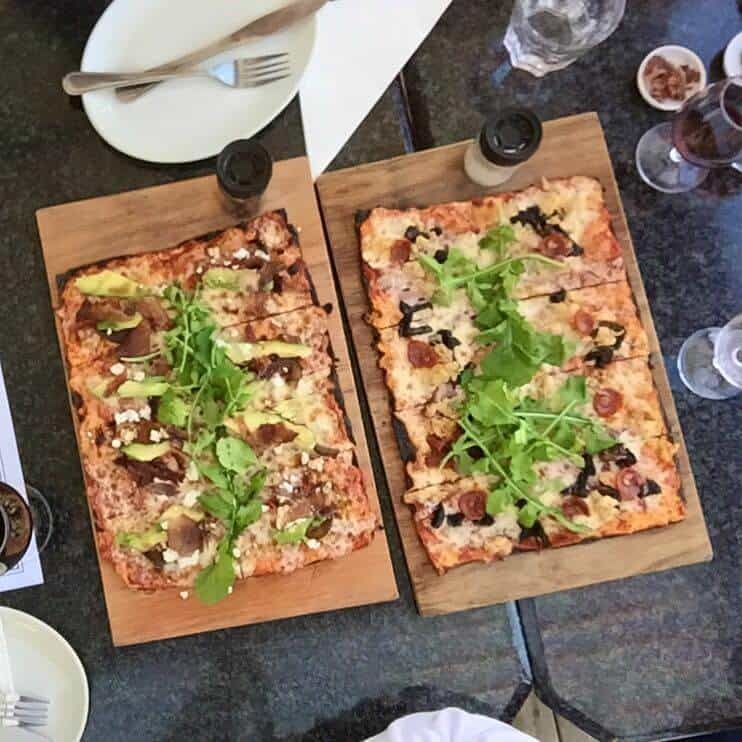 You can also try the Pizza and Wine pairing for R185 which includes a Full House Pizza (all four signature pizzas in one) paired with Chardonnay, Sauvignon Blanc, Merlot and a red blend. I enjoyed my visit however don’t visit expecting the best of the best when it comes to service and quality. It is a nice, relaxed day out.